There have been some awful stories coming out of Queensland and Victoria. Heart-wrenching stories. Yet through all the stress and heartbreak, there are stories of incredible heroism and bravery. Like Jordan Rice, who pushed his brother into the arms of SES rescuers, telling them to save him first, only for him to be washed away by the flood waters before they could return to rescue him. 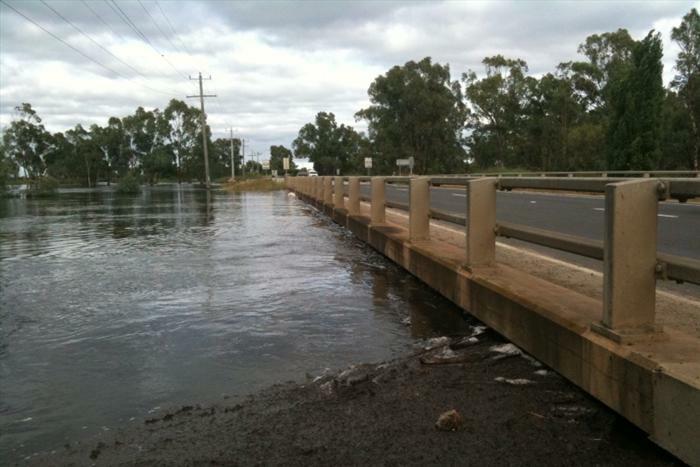 Or the town of Warracknabeal in Victoria, who upon hearing that the flood was headed their way, all banded together and built a makeshift levee, to help protect the town. They then proceeded to make repairs during the night, and pump water from overflowed drains back into the river. Their efforts will most likely save a great number of homes that would have been inundated by the floods. At a time when so many people could have been forgiven for packing up as much as they could and running – having seen the terrible devastating effects of the floods in Queensland, this town showed their brave side, took on the flood and saved homes. I’m sure there will be many more stories of bravery coming out of these floods as we get into the recovery effort. The great thing about Australia is that when people are in need, we band together and help out where we can. Next Next post: What’s the most important thing I’ve been putting off?